Want more tools to help your team with professional and personal growth? Kristen’s fun yet powerful writing has landed her books on multiple Amazon bestseller lists, on the covers of magazines, on national TV and in the hands of celebrities. She has also won several awards for her writing. 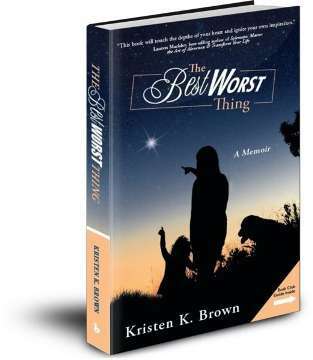 Her first book, The Best Worst Thing, is a memoir about her journey through widow mommyhood, a stressful corporate job and the economic crash all at the same time. This book hit the Amazon bestseller list and won several awards. 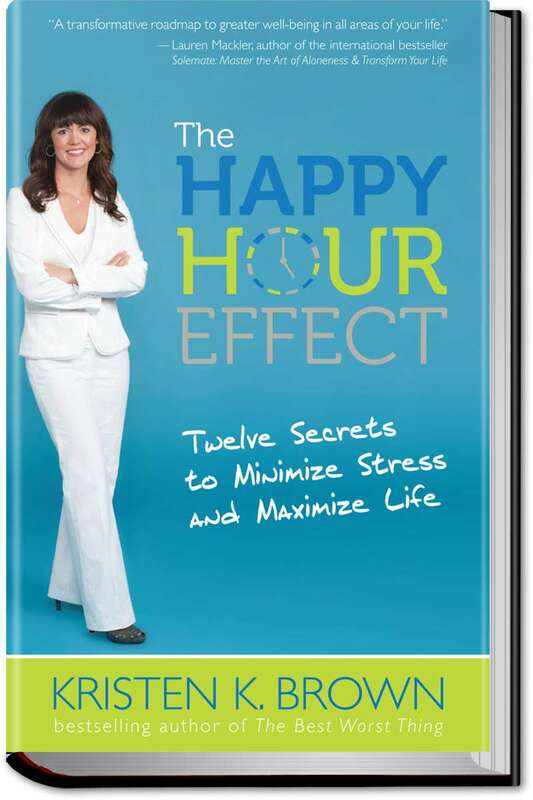 Her second book, The Happy Hour Effect: 12 Secrets to Minimize Stress & Maximize Life hit the Amazon bestseller list and receives extensive media national media coverage. 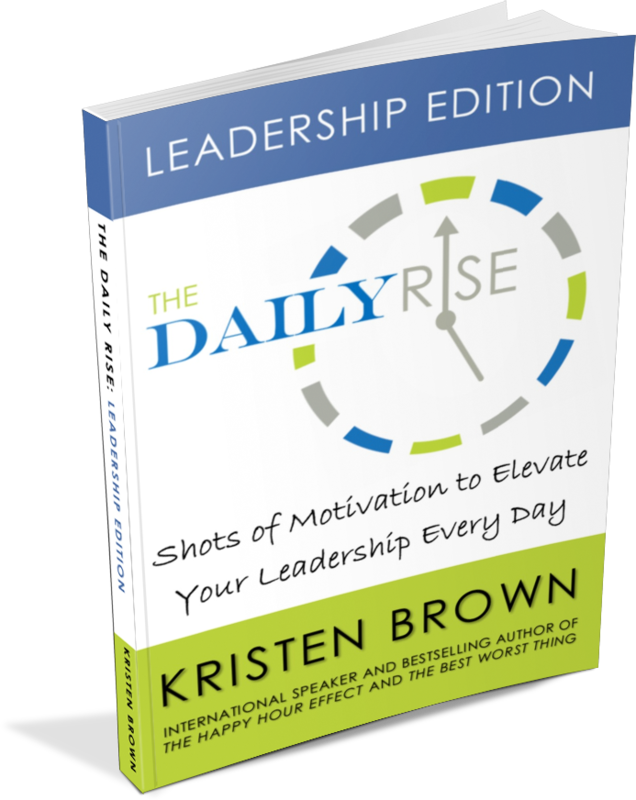 The Daily RISE is a pocket book for leaders and teams to inspire them to give their best every day. Kristen’s books are available on Amazon, BN.com and at bookstores. They make great conference giveaways, swag bag gifts, book club selections, and work roundtable conversation starters.